It seems like farmers markets are popping up all over. It makes you wonder how many are too many here in Bethesda, MD. There is one every day of the week except Monday and Saturdays there are more than one. Here is a quick run down of the ones in downtown (going out to the Bethesda suburbs there are even more). 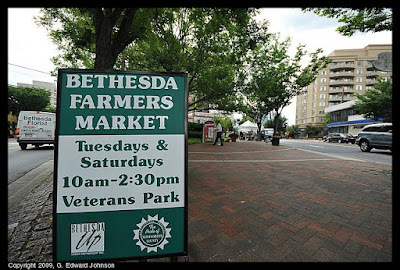 The smallest one is the Bethesda Farmers Market in Veterans park on the corner of Woodmont Ave and Norfolk Ave on Tuesdays and Saturdays. This year they have live music too. 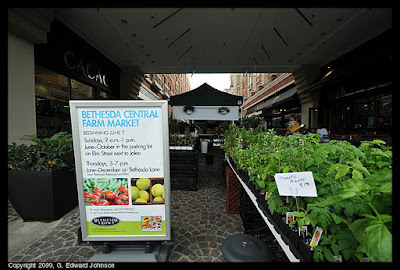 Somehow, somewhere, someone woke up and thought to themselves "Bethesda needs more farm markets". 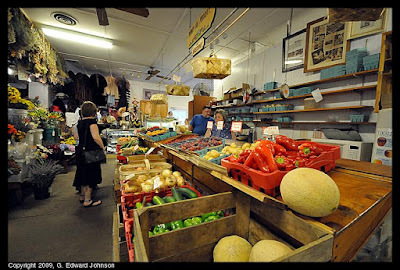 This is the newest one is the Bethesda Central Farm Market and there is a surprising amount of variety in it. 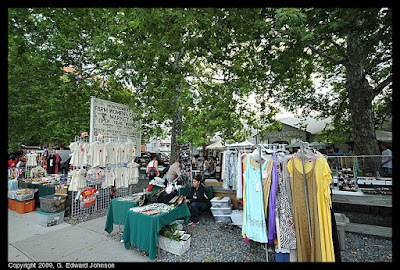 On Thursdays it is on Bethesda Lane between Bethesda Ave and Elm St and on Sundays it is in the parking lot on Elm St next to Jaleo.